Donna Maria Coles Johnson is known as the Chief Executive Indie, empowering people the world over to enjoy business as a lifestyle, create wealth on their own terms and become the CEOs of their businesses and their lives. A popular blogger, small business expert, attorney, author, business owner, media personality, and devoted wife and mother, Donna Maria understands firsthand the challenges of running a business and managing a home. She is proof that you can do both without compromising either. Donna Maria graduated from the University of South Carolina with a Bachelore of Arts in Journalism. She was awarded a Juris Doctorate degree from the Catholic University of America, where she served on the prestigious Law Review. Note: archived shows are being moved to the Women Entrepreneurs Radio platform on Libsyn: http://womenentrepreneursradio.libsyn.com/. We don't like change. There's something deeply disturbing about giving up the things that we are comfortable with. Even if we're not terribly happy with our situation, there can be a certain comfort in knowing what to expect day after day. Part of the reason for that is because our sense of self is wrapped up in a certain way of life. Usually the first thing that we are asked (after our name) is "what do you do?" So we answer with our title or job description, but does that really describe us? We are much more than what we do during working hours, just as we are much more than the names we've been given. We are also much more than our physical appearance, our ethnicity, age or sexual orientation. Deep down we are more complex than even we can realize. Our lives are the sum of our experiences, and each of these experiences has given us a story about who we think we are. No doubt you've heard that people live from their perceptions, or that perception is reality. Our perception...our story is what we live through. It's the road map that we look at to tell us where we are and what is happening around us. Where we run into trouble is when we allow those stories to become part of our identity. I've met many people who say that they can't write, or they hate writing. I'd guess that somewhere in that person's past they were made to feel that their writing wasn't good enough. So, they accepted that story as their reality. The same is true for people who have been told they are stupid, or ugly or not quite good enough to be successful. I personally know a couple of women who were told by their parents that women didn't need higher education. One of those women paid her own way through college and law school. She didn't accept the story that was being given to her. She wasn't going to be defined by someone else's expectation. In the workplace, if we are defined by a job title, a salary or a grade level, it becomes part of our identity. The people we associate with, the economic class we belong to, the neighborhood we live in, the car we drive...it can all be tied to what it means to be that type of person. When I decided to leave the corporate world and go out on my own, I didn't consider how that change would affect me. However, leaving Information Technology was like losing a part of myself. Though I was unhappy in that profession, I had been in it for over 10 years and become used to being in that community. I knew the language, the culture and I had paid my dues over time. Who would I be if I were outside of that world? I'd be a stranger. I'd have to start over again in a new place. My self-assurance and accumulated knowledge would mean nothing. As I mentioned, there is a certain comfort in knowing what to expect - even if you hate your situation. The prospect of starting over from zero can be very frightening. Though I read many books about how to start a business, I never read anything telling me how to let go of my day job. No one talks about how to let go emotionally. When you decide to pursue your own business (whether on the side or full-time) you are starting on a journey of discovery. You will be made to pull off layer after layer of the stories and beliefs you've held for years. There is no way around it. If you believe the negative stories that you've held on to over the years, your business will reflect it. If you believe you can do what you set out to do, your business will reflect it. When I'm asked about coaching, I say that no matter what you call it - career, life, transition, law of attraction, etc. - it all comes down to the personal stuff sooner or later. Sooner or later we'll have to address that part of ourselves that we suppressed so that we could live according to our stories. When that comes out, it becomes impossible for us to pretend to be what we are not. That's when the work begins. Going through that experience enables us to discover who we really are. Kids will be kids. And stylish moms want to keep them looking cute as a button. For Jenny Ford, understanding this age old truth brought forth more than peace of mind during her morning dressing routine with her two young daughters. It brought her into the world of entrepreneurship. Meet all the collection of Monkey-Toes, 11 different styles to suit the pickiest of finicky feet. Monkey-Toes, Ford's line of fun animal themed footwear, blossomed from a single mother's dream of being a stay-at-home mom and an all-American business owner. Inspired by her daughter's long toes, the name "Monkey-Toes" was a perfect fit for the collection of hand painted children's sneakers and matching socks. Jenny understands today's parents and has a great eye for style - two traits that she finds indispensable to the success of her company. She effectively balances her roles of business owner and mom. While raising her two daughters, the Colorado native works away looking for next next big idea for her one-of-a-kind shoes. Jenny Ford is a graduate of the University of Colorado where she earned a Bachelor's degree in business with an emphasis in Finance. Prior to launching Monkey-Toes she worked in the event planning field. She loves her girls, is passionate about her business and uses a carefully orchestrated combination of Red Bull, chocolate, and Starbucks Soy Chai Lattes to stay on top of it all! Jenny is currently the mom of 2 and a half (one on the way, due in December), wife to an amazing husband, blogger for MomToBeDepot.com, Tweeter, Facebooker, etc, etc. Target Fixation -- Is Your Goal Killing Your Business? One episode discussed the concept of "target fixation" -- a concept where you are SO focused on your target that you fly right into it. In the entrepreneurial world, I attribute "target fixation" to being SO incredibly focused on your goal (your target) that you fail to see all the other opportunities around you. While working with a private virtual retreat client last week, we soon discovered that she was so concerned with staying "on message" (her fixation) that she completely missed a whole section of her business which, with a little tweaking, is completely in tune with her message and could be a significant revenue stream. Even better. . .her clients are already eager and looking for this knowledge and service. If something happens to the one area we ARE focused on (ie, clients stop calling), we're not prepared and have no other revenue streams to pick up the slack. And if you doubt that such a thing as "target fixation" exists, just think back to your teenage years when you were "SOOOO in love" with that one person -- the person who everything else revolved around and whom you considered in all your plans. . .
Now that you're aware of our tendency as humans to focus so intently on one goal, one revenue stream, one "whatever" that we unintentionally neglect other areas of our business, or lives, what are you going to do about it? After Step 2, what do you see? Where are there opportunities for improvement or enhancement? What should you start doing? Stop doing? So what are you going to add to, or change in, your business this week? Building a thriving business in today's economy is certainly possible if you remain committed to upgrading your business practices. Here are seven tips to get you started with your business upgrade. Ask your clients to tell you exactly what you can do to serve them better. Listen, then implement. Upgrading your business from survival to thriving requires a commitment to exceptional client service. Once you know exactly what your clients want, you can find ways to give it to them. To start finding out what your clients want, include a survey in your next client communication (e.g., newsletter) or call key clients on the telephone and ask them. Develop a strategic plan of action for building the business of your dreams. As business owners, it is easy to spend all of our time "fighting fires" and very little time strategically planning the growth and development of our businesses. Make a firm decision to spend at least a full day each quarter creating and revising a strategic plan of action for your business that includes development, marketing and client service. Now, do it! Implement your strategic plan of action. I suggest purchasing a 4-month wall calendar from your local office supply store and mapping out exactly what you will do each day for the next ninety days to bring your strategic plan of action to life. Then, implement. This is a tip from one of my mentors that has made all of the difference in my success. Identify and then contact prospective joint venture partners. The fastest way to grow your business exponentially into a thriving enterprise is to partner with others. Make a list of three projects that when implemented will result in significant profits; then, locate a joint venture partner who could experience the same results. Now, connect with that person and make it happen. Automate a business process. Systems are what differentiate a "business" from a "job that you own". Invest time this week automating at least one routine business function. Examples of functions that can be automated include: setting up online bill payments, creating auto-responders for frequently asked questions from clients and connecting several of your social media communities with similar cultures. Build and nurture relationships. Remember, people do business with people they know, like and trust AND those who are on their radar. Make it a point this week to call a former client, current client and prospective client to check-in and see how you can help them further their business objectives. Keep learning. Being a thought-leader requires you to have your hand on the pulse of your industry. Invest time each day learning something new about your industry, clients or best business practices. This can be done as simply as reading an article or blog post related to your business. Use Google Alerts to keep abreast of recent news. To use Google Alerts, go to http://google.com/alerts and enter keywords associated with your company, clients and industry. At a minimum, create an alert for (i) your name, (ii) your company name, (iii) the names of key clients, (iv) the names of key competitors and (v) keywords related to your core business offerings. Your continued education will be invaluable to your business and your clients. Lawyerpreneur and America's Online Business Coach, T.C. Coleman, Esq. is the author of "ABCs of UpwardAction: 26 Lessons for Building Authentic Success" and the popular "UpwardAction for Success" weekly eNewsletter, and the InspirebyAction.com blog, which altogether inspire thousands to take upward action. If you are ready to harness the power of social media and online technology to attract more leads, convert clicks to clients and build effective online business systems, you certainly want to subscribe to T.C. 's complimentary eNewsletter "UpwardAction for Success" at www.UpwardActionforSuccess.com to ignite your business momentum. 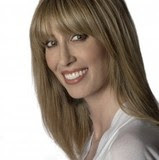 Christine Perkett, President & Founder, PerkettPR, Inc.
Christine Perkett founded PerkettPR on the heels of a diversified career in corporate and agency public relations in both the high technology and non-profit arenas. She holds specialized expertise in social media relations, business and high-technology media and the promotion of early stage, venture-backed companies. She has extensive experience in public relations and branding, new media strategies, issues management, marketing communications, community relations, promotional writing and events. One of the biggest places that business owners struggle is in making their business profitable. If you've made a transition from being an employee, you're bringing all of your beliefs with you. Beliefs based on years of indoctrination by family, friends and even your previous work environment. Making the transition to having a profitable business involves much more than having a good business plan or a marketing strategy. Your mindset shifts are key to your success. In this four-week class (delivered by email) we'll explore how those beliefs can carry over into your business and ultimately be responsible for its success or failure. What money means to you - the "root of all evil" or an extremely useful tool - seeing money as "good" or "bad" has a direct link to your financial success! Your limiting beliefs around money and where they came from - is a deep belief in lack and limitation holding you back? The influence of family and friends on your financial situation - this one can keep you stuck in a failing business, or in a place where you never achieve your dreams. Why having more money does not equal having more freedom - understanding why this is true will release a lot of your money anxiety! A worksheet that you can print and use as you go through each lesson. Each week you'll receive another "lesson" including action steps to help you start making changes right away! At the end of the class you'll receive all of the lessons in a PDF format document so that you can refer back to them when you need a "refresher." During the four weeks you'll have access to email me with questions and you'll receive supportive feedback. If you have SKYPE installed on your computer you will have the bonus opportunity to connect with me for a brief 15-minute "coach on call" session each week (to be scheduled after the first lesson goes out). Since I'd like to give everyone as much attention as possible, unfortunately the number of people who can enroll is limited. If you're struggling over money in your business (and your life) right now, isn't it time to address the reasons why you're not seeing the financial success you deserve? How much baggage are you carrying? Have you created a business that looks just like the corporate world that you escaped from? When I was dreaming of going out on my own, I envisioned having time and freedom to do whatever I wanted. It may seem silly now, but I didn't consider how much money I wanted to make. All I really wanted was to have time for myself. You see, I was in IT for over 15 years and during that time I worked weekends, nights and holidays. I was one of those people who could be relied on to drop everything and give her all for the team. As the years passed, I realized that though I was giving my all, my paycheck wasn't reflecting it. Not mention that I was frequently sick and had little or no social life - other than the occasional Happy Hour. Not that drinking cheap drinks at an Applebee's or TGIFridays is such a happy event. What I never considered was that I would end up recreating my work life in my business - long hours, low pay and the occasional Happy Hour. Most of my friends in business do the same thing, so why would I think it anything was wrong? Yes, when you get started it does require work and often much longer hours than the regular 9-to-5. But sitting at a desk all day and all night is not productive if it does not bring you any income. Back in my job, I was used to just spending hours at the desk, whether my work was productive or not. So, I simply recreated that world. It took me the longest time to feel okay about running errands or doing chores during "work hours." However, I couldn't blame my work environment for keeping me confined - I'd done it to myself. Recently my coach asked me what I'd really rather be focusing on in my business. I answered, "If it was up to me..." She said, "It IS up to you!" That really hit me. It was up to me to decide - but in my mind I was still the employee waiting to be told what to do next. I've often heard that starting a business will bring up all sorts of issues inside of a person. You will discover things about yourself that you never realized were there. I totally agree. It does bring up stuff. Though some of it can be hard to look at, it's necessary. If you're struggling to find that freedom you thought you'd have in your business, drop that baggage and free your mind first. Formal education includes PhD in Organization Management from Capella University; MS in Psychiatric Rehabilitation from UMDNJ; BA in Psychology from Montclair State University. Dr. Clark continues to teach at various colleges and universities, such as Bloomfield College, University of Phoenix –Jersey City Campus, Berkeley College and Keller Graduate School of Management. Do you get nervous when you hear news about the economy? If so, you’re not alone. However, one of the worst things you can do is to stop investing in yourself and in your business. Ups and downs in the economy are inevitable. Making choices based on fear will not help you to succeed – and you should keep in mind that those who invest in themselves will succeed no matter what is going on in the world. How can a coach be of help to you? A coach provides accountability, support and motivation. A coach has no agenda other than working with you to identify ways to be more productive, make your business more profitable or help you to become more focused. Being inside your own head makes it difficult to know what is the best action to take. A coach can point out things as an objective observer in a way that a friend, family member or colleague cannot. So how do you choose the best coach? First, have a conversation with them to find out if the two of you are a good fit. Even if the coach has the qualifications you’re looking for, you may not feel comfortable confiding in them. It is extremely important that the coach you choose is someone you are comfortable with. If you want to make career changes, a career coach can help you identify a plan of action. A coach will be supportive of your vision for your career or your business and they will help you design a plan to fulfill it. It’s hard to make decisions in a vacuum. Having someone else who you can brainstorm with can be a big help. We can often get stuck in fear of moving forward; a coach will be a partner when you need support to move through the fear. Successful people will always have a career or business coach working with them throughout their careers. Even career and business coaches will have their own coaches! If you want to achieve your goals, you can never stop investing in yourself. Hiring a coach is an investment that will always pay off. to form an action and results driven group with the common interest of building your business. No Excuses. Move your business forward NOW. Action Group meets Tuesdays at 12 noon - 1pm EDT starting June 16th and runs 6 sessions, bimonthly. Join this action oriented, results driven group for just $59.99 for 6 one hour sessions! 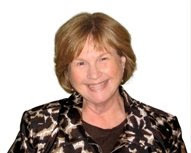 Ann Mehl is a certified Martha Beck coach specializing in life and career transitions. A former executive recruiter, she assists individuals who feel stuck in their lives or simply need a plan to jumpstart their careers. Through one-on-one counseling, Ann guides clients to listen to their authentic selves and focus on their personal growth. As a runner who has completed over forty marathons worldwide, she lives what she preaches. Anne has performed throughout the country for more than twenty years as a soloist at resort hotels, convention centers, cruise ships, concert venues, highland games, Celtic and Renaissance fairs, casino clubs, wineries, meditation retreats-- you name it. She has been invited to perform for several dignitaries, including the Lord Mayor of Dublin, Ireland. Her ability to play a wide variety of music, ranging from traditional Celtic, Early, Renaissance and classical music, to modern popular music from the movies, Broadway, Beatles, and even Metallica, have made her a popular and much sought after musician for all types of events. Most recently, Anne was the regularly scheduled musical entertainment at Llewellyn’s restaurant on the top of Harvey’s Resort Hotel in South Lake Tahoe. Fulfilling requests from dining guests, from “Canon in D” and “Greensleeves” to “Stairway to Heaven,” showcased the extent of her repertoire. Anne is not only comfortable performing in front of a live audience, but also on camera and behind a microphone. She has appeared on a number of television programs and radio shows, performing with the Celtic Harp. Several resort vacation videos promoting travel to beautiful Lake Tahoe, where she resides, showcase Anne on the Celtic Harp. She has been able to utilize her extensive knowledge of music as a Classical, Jazz, and World music announcer for National Public Radio. Anne is also a published author and considered a wedding music specialist with her book "The Musician's Guide to Brides", published by Hal Leonard books as a how-to manual for musicians who are interested in performing at weddings. Anne is an active member of the San Francisco Chapter of the National Academy of Recording Arts and Sciences, the Recording Academy and served on the Board of Governors for the San Francisco Chapter. Anne is proud to be involved with this organization, which works to positively impact the lives of musicians, industry members and our society at large. Visit her website at www.celticharpmusic.com. On the surface of things, now doesn't seem to be the ideal time to be at your desk writing. If you're absorbing all the news of negativity, change, lack, fear and uncertainty, then you might think you should be running around, shaking the bushes for business, wringing your hands or even tearing your hair out! But instead of speeding up and raising your levels of anxiety, I challenge you to do just the opposite: slow down. Observe. Now is the time to write. Right now people want to hear new, helpful ideas from calmer heads. We recognize immediately that a person who has the insight to pen a thoughtful manuscript at a time like this is someone to pay attention to-and do business with. I recently received a manuscript from a businesswoman whose industry has thoroughly crumbled. There's lots of finger pointing going on, especially at the government level. But this shrewd lady recognized, based on her clients' questions, that there was a need to understand how this happened-and what to do next. With that idea in mind (and nothing else-she's not an experienced writer and knows nothing about book publishing) she wrote her manuscript. It's an excellent book and her business will benefit. When people are running for the exits, she will have clients running TOWARD her because she will have shown that she is interested in helping her clients and she understands what's going in her industry. How can you do the same with great results? You'll find it a lot easier to get motivated to write if you're clear on why you're doing it. Think of the benefits you're offering your reader, and the advantages you'll gain for your business. You'll enjoy those advantages a lot faster if you have a strategy for making it happen. Think about the different ways you can make money with your book. Then develop your plan with the specific action steps you need to take to achieve your goals. When you have the right people working on your project, it helps you prioritize your work in addition to providing guidance and knowledge. You'll know, for instance, that you might have to write promotional copy first so a graphics artist can be working on your cover while you write other material. Recently I had 2 consultations with a pair of entrepreneurs who want me to edit the book they're writing together. After much discussion about the outline they already had and the material they know they will use, we finally got to a point where I said, "Okay, there's really nothing else to talk about. I can't do more for you until you give me a manuscript to edit." They knew it was finally time to put it all on paper and this was the kick they needed to get going! Just like the pair above, you have to do it! Remember, you don't have to write War and Peace. Write your book, your way, with your great voice and your great information. You'll never know the difference you can make until you do. Sue Painter is the President and Founder of www.confidentmarketer.com. She works with bright, driven individuals who have a deep desire to be very financially successful and self-employed. Named one of the “Top Ten Women of Wellness” by Natural Awakenings Magazine, Sue is known for her keen intuition, creativity, and strategic marketing experience. She is a certified Book Yourself Solid coach and a member of Ali Brown’s Millionaire Protégé Club. You can find her website at www.confidentmarketer.com and www.suepainter.com. Click on the arrow below to listen to my conversation with Dara about her business and makeup tips and tricks. You'll learn a lot! I've created a survey about how business owners are looking to implement internet radio or podcasting into their marketing strategies. It's a quick survey and will take only about 3 minutes of your time. Click below to share your feedback today! Anu Karwa is the founder and CEO of Swirl Events (www.SwirlEvents.com). Anu created Swirl Events to combine her passion for wine and bringing people together for memorable evenings. After earning her Advanced Certification from the internationally recognized Wine & Spirit Education Trust (WSET) – and through her tasting experiences – she realized wine did not have to be complicated or stuffy. Thus began her dream of sharing her passion through Swirl. Prior to launching Swirl Events, Anu was a product junkie working as a brand manager in the beauty industry for L'Oreal, John Frieda and most recently, Victoria Secret Beauty (PINK brand). Anu holds a B.S. in Finance & Economics from The Ohio State University and an MBA from Columbia Business School. She is a regular guest on Martha Stewart radio and Cosmo radio. 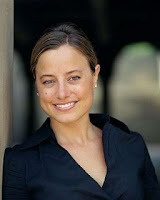 Her writing can be seen in Tasting Table, The Chicago Sun Times, and her blog, SwirlSavvy.blogspot.com. Whether you are a mom, have been like a mom to someone, or have nutured some folks along the way - happy mother's day to you today! As a recovering workaholic/perfectionist, not to mention having delusions of superhero syndrome, I'm quite familiar with the lies we tell ourselves. You know these lies. They're the ones that keep us stuck and away from our dreams. We might not be where we want to be in our business or our lives, but change is hard. It's uncomfortable. Worse, change forces us to face our fears. So the lies allow us to stay put. Right where we're stuck. They give us a reason NOT to change. And these lies keep us from having the business and/or life we've always wanted. Working harder isn't the answer. Having a realistic idea of what you can do in a day is. This is a scary one because there's some truth mixed in here. While it IS true when you're gearing up to launch a big product or a business venture or a big campaign, you may very well have to put in more hours for a brief period of time. This week, there's a big project for a client you have to finish up. Next week, you're putting in overtime because an emergency cropped up for a different client. The week after you're working longer because you need to do some marketing to make sure the pipeline stays full. Oh, and don't forget to try and squeeze in time to create a product or to start a second business venture. You're constantly putting your personal life "on hold" because you know one day it will all come together and you'll be able to sit back and reap the rewards of all the hard work. This one is a toughie. I won't deny it. But you need to get it through your head there is a natural rhythm to all businesses. There are times you need to work like a dog. (And every single successful person I've ever met works like a dog every now and then. The difference is they typically know when to stop.) But, there are also times to sit back and take it easy. Work fewer hours. Enjoy what you've built so far. It doesn't have to be complete in order for you to celebrate it. And there are your "normal" times -- times when you put in a full week yet you're still able to enjoy your weekends without feeling like you need to squeeze in few extra hours on your business. When even though things are humming and you're busy, you still make time to take that art class or watch your kids play soccer. You need to still enjoy your life while you're building your business. And you need to know you'll have the energy and passion to put in a few extra hours of work when it's called for. The only way to do that is to make taking time a priority. This one is about your mindset. Again, it's not an easy one. You CAN do both. It's very possible. The point is you have to change your mindset. Once you truly believe it's possible, then it will happen. Practical Marketing Expert Stacy Karacostas, founder of SuccessStream Sales & Marketing Solutions, specializes in taking the stress, struggle and confusion out of growing your small business. With more than 20 years experience in small business—including running four of her own—Stacy understands firsthand the unique difficulties entrepreneurs face. Over the years she has developed a variety of tools, tips and tricks that marketing easier, more effective and even fun! An in-demand speaker and prolific writer, Stacy has published more than 150 articles on marketing, copywriting, sales and small business success, and is the author of the 2-page marketing plan workbook “Putting Your Business on the Road to Success”, and “The Small Business Website Bible”. She was also a 2nd Place Winner in the 2008 StartUp Nation 100 Best Home-Based Businesses competition. To learn more about Stacy, and find oodles of practical resources to help your small business become a big success, visit http://www.success-stream.com. 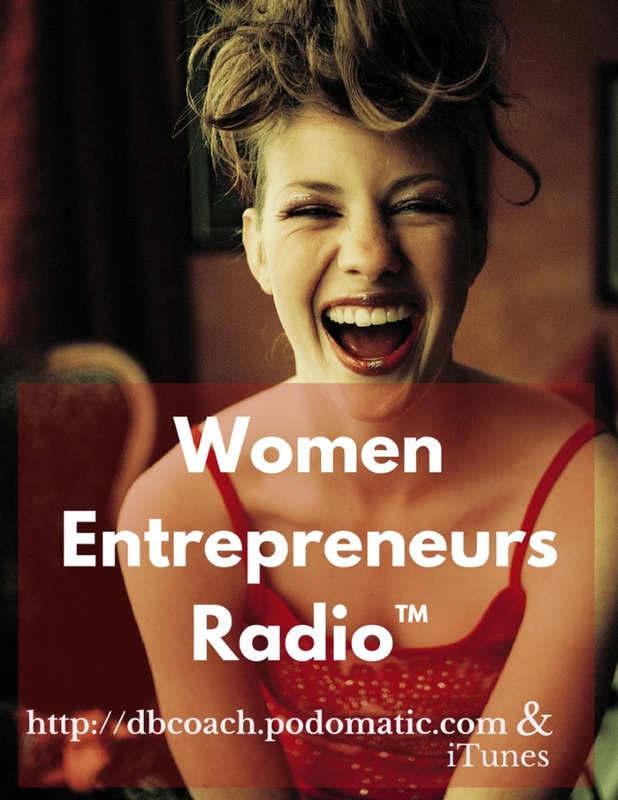 The Women Entrepreneurs blog is participating in a virtual book tour! "Better prayer is for all times, all things. Better prayer will give us rest and peace to truly cast every burden upon the Lord. It will brings us into a deeper relationship with our Heavenly Father." "The Power of Better Prayer is a book of hope. Every time I read one of these prayers, I know for sure God hears my cry and I have peace.” A.H.
Dr. Huggins, is Senior Pastor & Founder of Miracle Provider Church, located at 3839 White Plains, Rd, Bronx, New York 10467. She has been commissioned by God as a child to do a work for His Kingdom. Carrie Huggins has already done a tremendous job throughout the land with journeys to China, India, Russia, Jamaica, Trinidad, Korea, Isreal and Africa. Norma Jean, disabled former Nursing Asst. and Private Duty Nurse. "I began writing poetry as a way to deal with the pain of childhood abuse and domestic abuse. About 25 years ago a counselor told me to write my thoughts and feelings down when I was feeling depressed, and as a result I began to write poetry. For years I had dreamed of having a book published now it has finally happened. 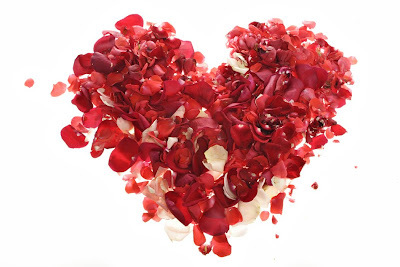 I have received the Editor Choice Reward 4 yrs from Poetry.com." FINDING YOUR RESOURCES...by A. Henderson "Starting a business gets easier when you have resources to help you along the way. This book was designed to help just a little. Get a FREE copy." 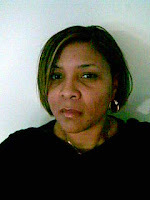 Alba Henderson is CEO and Founder of i-Virtual Assist, a virtual assistant company. She brings over 15 years of executive administration experience to her clients. She truly enjoys helping small businesses succeed. She is also a business coach, training young start-up entrepreneurs. You can visit her at http://www.i-virtualassist.com. For more information about having your book promoted via a virtual book tour contact Alba Henderson, http://www.i-virtualassistbooktours.blogspot.com or email her at yourbooktour@i-virtualassist.com. 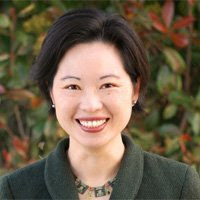 Jane Chin, Ph.D. is a microbusiness entrepreneur, career coach, and reinvention strategist. She is President of Medical Science Liaison Institute, a pharmaceutical consulting firm Jane launched in 2004. This year, Jane is in the process of launching a personal leadership development company. healthcare and medicine, personal leadership, and career development. In addition to 12 years of coaching experience, Johanna Sawalha has founded and headed several companies and teaches those business strategy skills to her clients. As a speaker and writer, she has led courses at the Learning Annex in New York City and worked as a columnist for Modern Economy doing global analysis of world trends, among other forums. 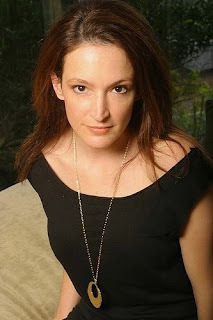 Johanna Sawalha graduated with honors from New School University, Jivamukti Yoga Teacher Training, as well as from the American Musical and Dramatic Academy. Her understanding of music lends creativity and out-of-the-box thinking to her coaching style. Her clients range from corporate executives to up-and-coming artists. She also has expertise in the area of health and well-being with particularly great results around weight loss. Johanna Sawalha produces extraordinary results for her clients by getting them highly effective and fully engaged in their own lives. As a native of Sweden fluent in several languages, Johanna Sawalha works with clients both domestically and internationally. Her business experience combined with her arts background provides the foundation for her remarkable client relationships. Click on the arrow button to start the player and listen to the podcast. Comments, questions, feedback? Please let us know what you think! As you say YES to your inner longings to move forward in different directions, to align with your purpose, to bring the business that you love and the work that you are gifted at out into the world many shifts and changes can and do take place. One of the major things that I experience when I am ready to make another MAJOR leap in my business is an undeniable sense of restlessness. Restlessness presents itself in many ways. I have a tendency to get frustrated, cranky and bored. What once seemed exciting seems like drudgery, and I am constantly wanting to get things "over with." I usually am getting pretty aggravated with the old way I have been doing things; feeling out of alignment with the work, like I am outgrowing what I was doing or who I was working with. If you relate to this it is a MAJOR sign that you are now completing that leg of your path and being prepared to leap forward. Take note of what you feel is most uncomfortable. Do not ignore it, or try to talk yourself out of it! When you do you are creating stress and resistance that is unnecessary. Instead make a list of what you are feeling most restless about. Then write about how you would like it to be. Believe it or not the second list of how you want it to be is actually what the Universe is pulling you toward! The Universe is the one that plants the inspiration in you so it will also deliver all that you are longing for as well! Everytime I do this exercise I am inspired in a bigger way and feel the new direction that I am to take unfolding right before my eyes. Then I just say YES and go for it! This ALWAYS works because it is a decision that is made in alignment with the Universe and not just in the mental mind! This week take the time to take note of the what you are feeling. And remember that restlessness is a sign of some truly great things that are just around the corner! Patricia is currently the founder/CEO of her second startup, 9, a multiplatform research, consulting and production company that services advertising, media, entertainment and internet companies. She founded her first startup, the fashion social media site Stylediary, in 2004, which she sold it in 2007. 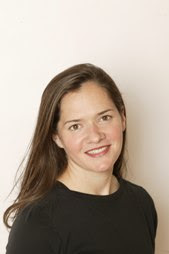 She was an advisor to Kaboodle.com (sold to Hearst) and has spoken at South by Southwest Interactive, Women 2.0, Blogher, Ladies Who Launch, and other industry events. Prior to entrepreneurship, Patricia worked in internet telecom at the engineering level and all facets of consumer sites including social media and ecommerce. She writes a popular series called The New Power Girls on Huffington Post and diary of her work in TV business on TVWeek.com. Patricia's involved in social entrepreneurship with a focus on global empowerment, the elderly and using technology to help find missing children. If you’ve seen the movie version of “The Wizard of Oz” (the book is very different) then you’re familiar with Dorothy’s journey down the Yellow Brick Road to find the Wizard. Dorothy is restless and looking for a place “over the rainbow.” She longs for more than she’s finding on the farm with her aunt and uncle. When her pet, Toto is in danger of being taken away, she runs away to find the other life she’s been dreaming of. Ultimately when the tornado comes up she returns home, only to end up whisked away over the rainbow to the Land of Oz. In Oz is where the fun begins. She meets Glinda, The Good Witch, The Wicked Witch of the West and the other cast of characters including the Scarecrow, the Tin Woodsman and the Cowardly Lion. Dorothy goes through various trials during her journey and even manages to triumph over the Wicked Witch. She then confronts the Wizard – who really has no powers – then finds out from Glinda that she had the power to return home all along. Dorothy’s journey through Oz reflects our desires to be more and experience more in our lives. She meets the Munchkins – who revere her as their savior – and the Wicked Witch who considers her an enemy. As with our own desires to express more of ourselves in the world, we are similar to Dorothy in that life on the farm is not fulfilling. It seems monotonous and unexciting and hardly a use for our talents and dreams. When she’s dropped in Oz, the movie is in color – showing how her world has changed completely into something more exciting and unpredictable. However, the Wicked Witch appears to remind her that things will not be easy in this new environment. Her journey will be perilous even with her new companions to accompany her. Oz is considered the end point, the destination and the reward for all of their struggles. They expect that once they arrive there all the answers will be revealed. However, they find that they still have to go back and face the Wicked Witch – face their fears in order to finally be able to obtain their reward. The catch here is that the Wizard really has no powers – other than smoke and mirrors. He’s a fake; considered a powerful wizard by the citizens of Oz, but having no power to help Dorothy return home. He got to Oz by accident - just as Dorothy did. However, the Wizard does have the insight to recognize that the Scarecrow, Tin Woodsman and the Lion only need to believe in themselves. They don't really need the qualities they've been searching for - they already have them. So what can we learn from this wonderful story? Dorothy’s not satisfied with the status quo, so when she ends up in this strange place, she’s ready for adventure. At the same time, just as we don’t see how powerful we really are, neither does Dorothy or her companions. Dorothy believes that the Wizard can help her to return to her home, not realizing she can return at any time simply by clicking her heels together. Throughout her journey she’s tested and pursued by the Wicked Witch who wants her ruby slippers. In the end she defeats the Witch, who seemed all-powerful and yet was destroyed by water. Then in the end Glinda reveals that Dorothy had the power within to return to her home – power that even the great Wizard didn’t possess. We may be tested in our pursuit of business success and feel as though we have to find the guru who has the right answer. We may travel through the perilous land of not having enough money, or enough support or not knowing what to do next. We may believe that we have no power or don’t know enough. In the end, it is up to us to believe in ourselves and our vision. What I’ve found is that you can read all of the books, go to seminars and spend thousands of dollars looking for the “answer.” The only thing you will discover is that though you can learn from those who have travelled the road before you, only you can tap into your inner power and manifest your desires. When we put our trust in wizards and stop listening to our inner guidance, we may never connect with our dreams and express our true selves. In this story, Glinda's role is very similar to that of a coach. She guides Dorothy, yet does not give her the answers - or reveal that the Wizard in not a real wizard. She lets Dorothy discover for herself that she can return home - to her source. I believe that we each have something to express and share with the world. If we’re not connected to those desires and if we don’t trust ourselves, we may never achieve our dreams. There may be powerful forces that we can tap into and who may help us, but in order to have success we must acknowledge our own power. This powerful song totally sums up the story. Your journey may have twists and turns, disappointments and triumphs – but in order to overcome it all acknowledge your power and believe in yourself. As a recovering workaholic/perfectionist, not to mention having delusions-of-superhero syndrome, I'm first to tell you the road to recovery isn't easy. It's fraught with obstacles and U-turns just waiting to send you right back to where you started. But I'm also here to tell you that it DOES get easier. And the rewards of staying on the path are well worth it. 1. Value your time off. Because if you don't value it, it won't happen. It's kind of like exercise. We all know we should exercise regularly, but what sets apart the people who actually DO it versus talk about it? It's their mindset. People who don't exercise regularly say things like "I really should start" or "Tomorrow I'll start my exercise program." People who do exercise regularly don't talk about it, they're out there doing it. I used to not exercise regularly. I used to spend my time talking about how I should start exercising rather then actually getting off the couch and working up a sweat. But for the last 18 months or so, I've been exercising between 5 and 7 days a week, every week (except when I'm traveling, but I get myself back into my routine as quickly as possible). So if you find yourself saying "Yeah, I really should take a weekend off" or "One of these days I need to take a vacation" then I can tell you right now it's not going to happen. Because it's not something you value. 2. Treat yourself well -- You deserve it. Ladies, you're going to know what I'm talking about, I'm not sure about my gentleman readers. For years, I used to buy the cheapest disposable razors to shave my legs. And for years I used to constantly nick my legs with those razors. My legs would start stinging in the shower, and then I would have to dredge up a Kleenex to sop up the blood before I got it all over the floor or on my towel. Now you're probably wondering where on earth I'm going with this. I'll tell you. The reason why I bought those cheap razors was because I didn't think it mattered. Even though I hated them, hated shaving, hurt myself constantly, I told myself the cheap cost of the razors was worth it. Why pay that extra few bucks for a name brand razor? I could suffer through a few cuts and burns. It wasn't a big deal. But really what I was telling myself (and the universe) was that I wasn't worth an extra couple bucks for a name brand razor. I wasn't worth an extra couple of bucks to not hurt myself. So how do you think the universe responded? Simple -- I wasn't attracting the kind of money I wanted because I wasn't worth it. And what I WAS attracting was more sickness, exhaustion, burnout, stress, etc. Because it was "okay" for me to suffer. In the last couple of years, I have completely changed my attitude about how I treat myself. But (and this is an important but) it's not just about spending money on myself -- it's also about taking time for myself. The razors are just one part of it. I also get regular massages each month. Why? Because when I didn't, I was in pain a lot. Spending hours hunched over my computer writing is murder on my back and chest. But I also take time each day to exercise and stretch. Those don't cost me anything except time. And again, by doing this, I feel better and look better. So what are YOU denying yourself? I'm not talking about spending money you don't have or putting yourself in debt or avoiding the tasks you really need to do. I'm talking about the little indulgences we tell ourselves we don't need when, in truth, they're exactly what we need. Maybe you love real cream in your coffee, but you constantly buy that white powder junk because it's cheaper. And you tell yourself it doesn't matter. How much money are you REALLY saving by not buying real cream for your coffee? Is it enough to suffer the consequences of telling yourself and the universe you aren't worth the real stuff? Or maybe your indulgence is putting that coffee into a pretty cup, not a chipped mug with that ugly corporate logo on it. Or maybe it's allowing yourself 10 minutes to sit outside and enjoy that coffee, rather then gulping it down while you get ready for work. 3. Hire a coach. If, as you're reading this, you're seeing a little too much of yourself, and worse yet, you don't know how to fix it, then it might be time to hire a coach. But above all, remember Rome wasn't built in a day. If you're used to always putting yourself second, changing your perspective isn't going to be easy. So be kind to yourself. Allow yourself to take baby steps. A few indulgences here and there. Eventually it will get easier.